When someone from out-of-town asks me what there is to do in San Antonio, I always try to tell them about Fiesta! Why? Because Fiesta really highlights so many aspects of San Antonio’s history, neighborhoods, nightlife, music, arts, dining and fun. 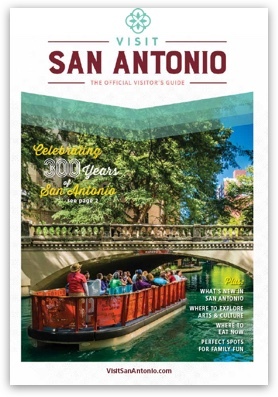 You can get a really good sampling of all things San Antonio within a 11-day span. Fiesta takes place in Spring when the weather is perfect, and the wildflowers are blooming. Plus, Fiesta is the “Party with a Purpose” and most of the funds go back into our community for development and preservation. Like I said, Fiesta spans 11 days, usually in April and with over 100 different events to choose from, it can be a little overwhelming. My family enjoys the Fiesta Arts Fair at the Southwest School of Art. The event hosts a great kids area called the Young Artists Garden plus awesome food, shopping and music all set within the historic Ursuline Academy, turned arts center on the River Walk. Fiesta always gives me feelings of nostalgia and happiness. Every part of San Antonio’s community hosts events, festivals and parades. The entire city gets together to highlight our diverse cultures, tastes and preferences. We really roll out the red carpet and welcome visitors and locals to join in the fun of this 100+ year old festival. Plus, did I mention Chicken on a Stick? The prized festival food to San Antonioans across the globe is a must-have during your Fiesta adventure. How Long Have You Lived in San Antonio? Most of my life. Shopping Destination: Museum Gift Shops – everything is so unique!